The mothership of Canadian fandom has landed in Toronto once again! 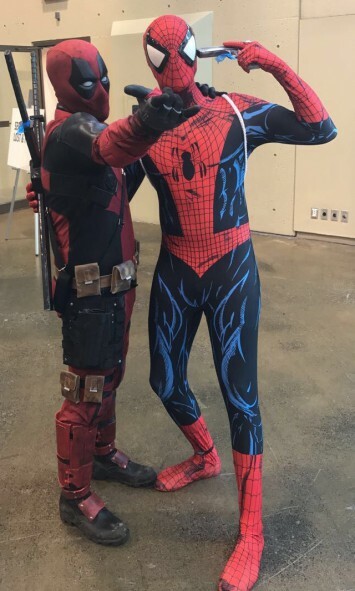 FAN EXPO CANADA is on at the Metro Toronto Convention Centre from August 31 – September 3, and amongst the celebrities in attendance this year are quite a few professional cosplayers. 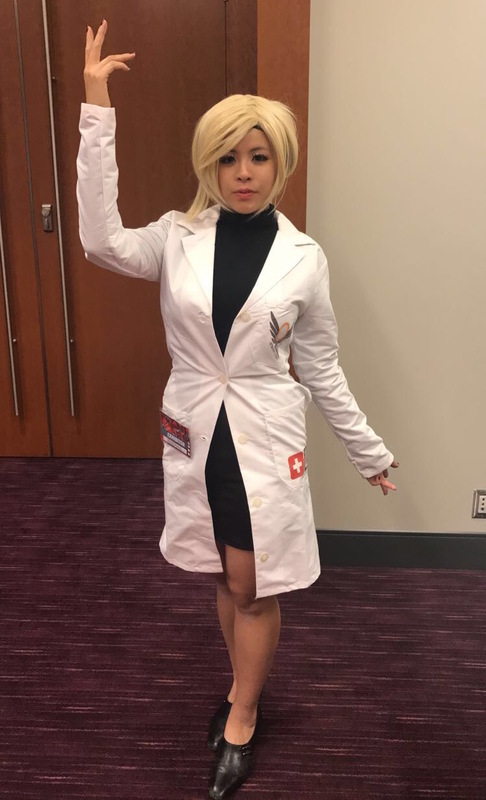 Jessica Nigri, Holly Wolf and Toronto’s own Karli Woods are around all weekend doing meet and greets, signing merch, and even hosting panels! Cosplay is only getting bigger amongst con-goers, and with so many great new films, TV shows, video games and comics, there’s definitely no shortage of inspiration. 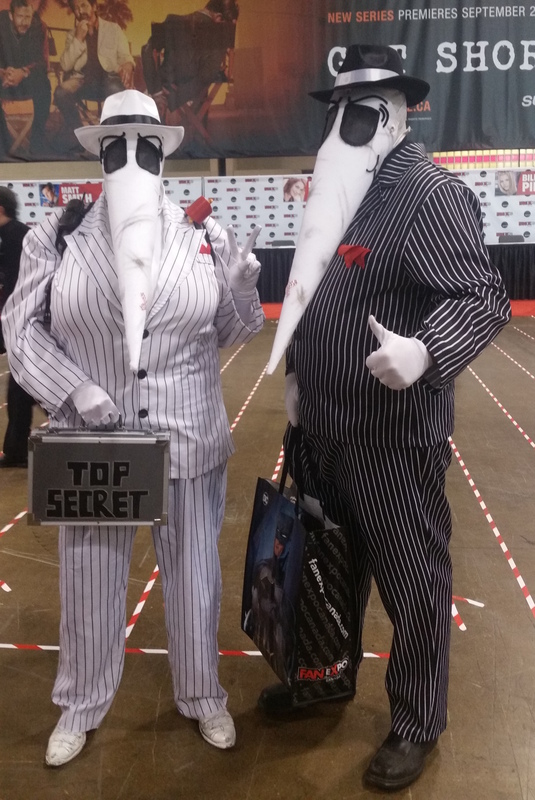 From Wonder Woman, to pop culture icons like Spy vs. Spy, there’s no question that you’ll spot your favourite characters at Fan Expo this weekend. Check out a few of the coolest guest cosplay outfits we’ve seen so far, or come down and see the spectacle of geekery for yourself this weekend! 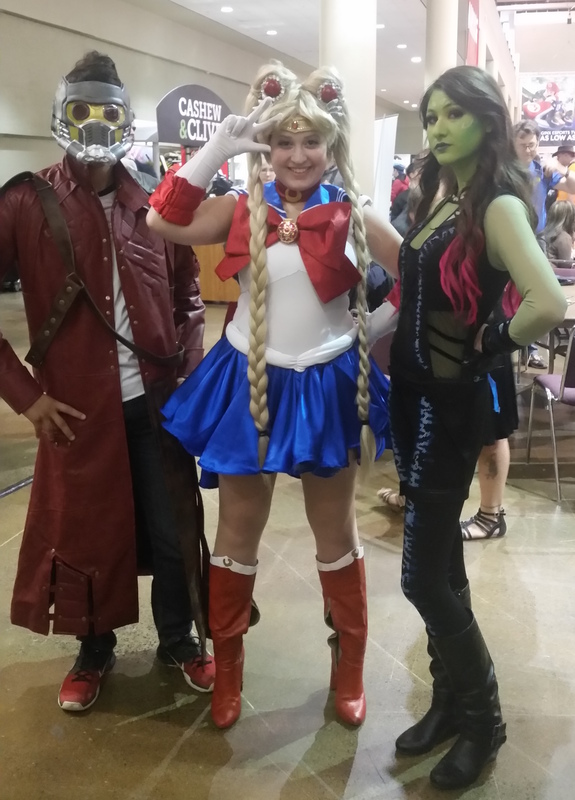 Peter Quill and Gamora team up with Sailor Moon to guard the galaxy from the forces of evil. 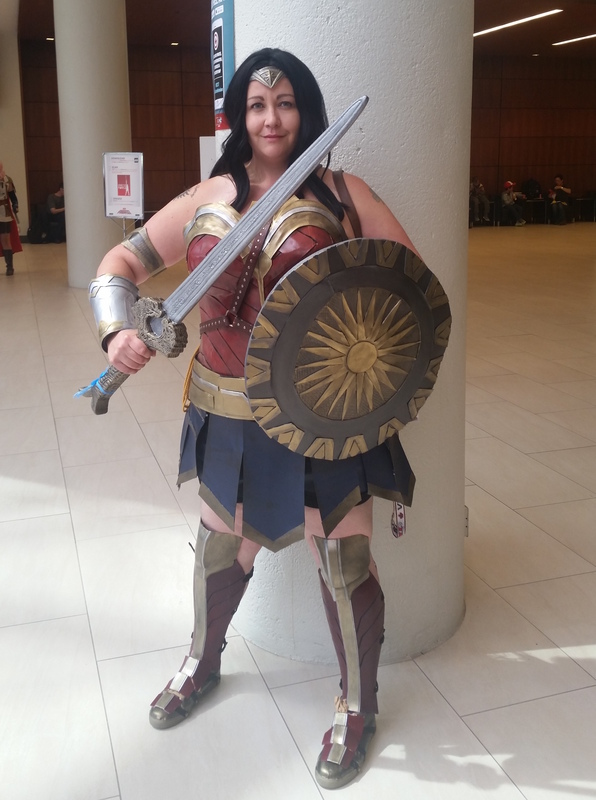 I hear it’s a long journey from the Amazons to Toronto, but Wonder Woman made the trip! Spy vs. Spy on a TOP SECRET mission.. Shhhh. Arguably two of the funniest Marvel characters, Spiderman and Deadpool make a rare appearance together on the FAN EXPO floor. 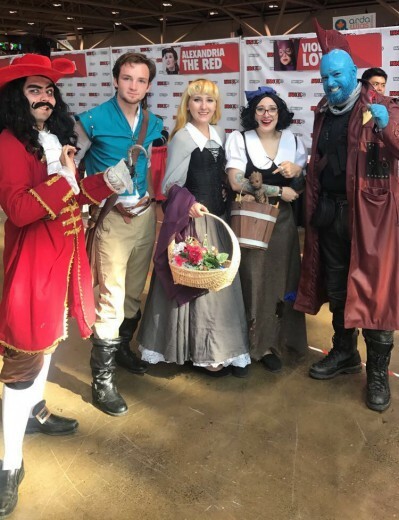 Here’s an odd mismatching of characters: Hook, Flynn, Rapunzel, Snow White and Yondu. Mercy from Overwatch will be watching over us all this long weekend. 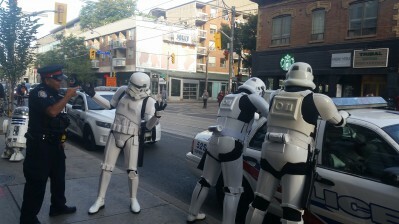 Visit fanexpocanada.com for guest and event info, and to get your hands on a pair of tickets!